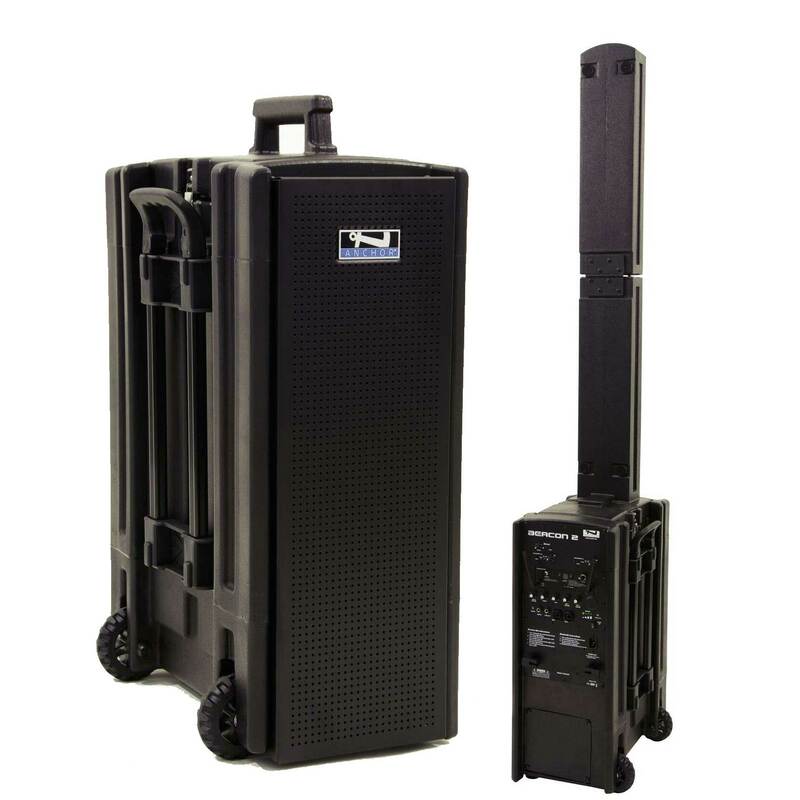 The Bigfoot Line Array is the newest, biggest, and most powerful Portable Sound System on the market. Designed to cover a football field, this thunderous battery powered system is up to any challenge. 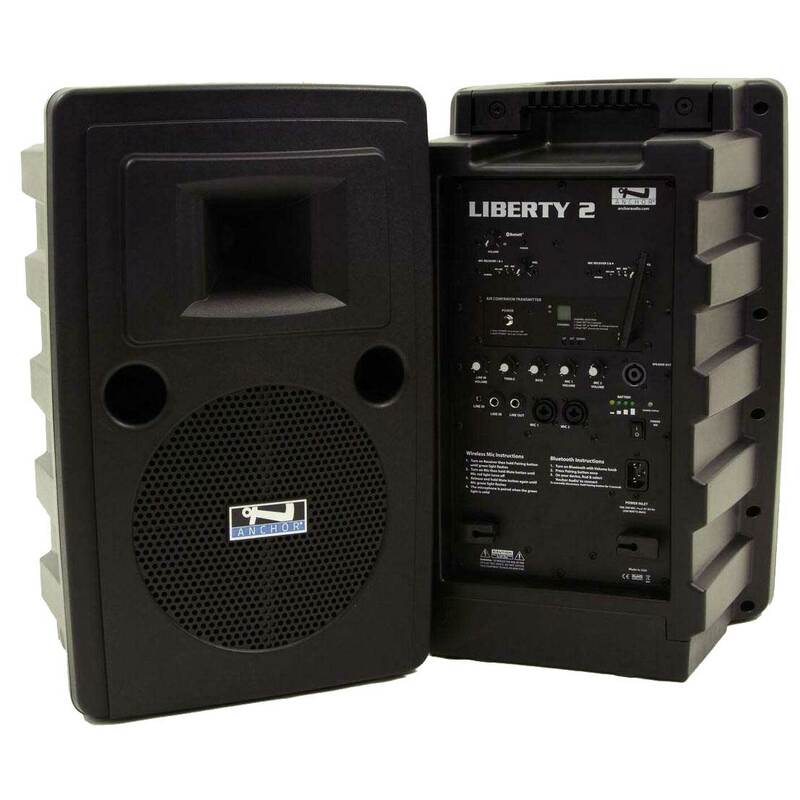 With a line array consisting of five 8" neodymium speakers and one high efficiency neodymium compression driver, this bad boy packs a punch - yet easily sets up in seconds. The Bigfoot is the first Anchor Audio Portable Sound System that offers four built-in wireless receivers - allowing everyone to be involved! It also boasts standard built-in Bluetooth and an optional built-in CD/MP3 combo player to easily connect to anything you'll need for an all-inclusive sound coverage. Just grab it and go! 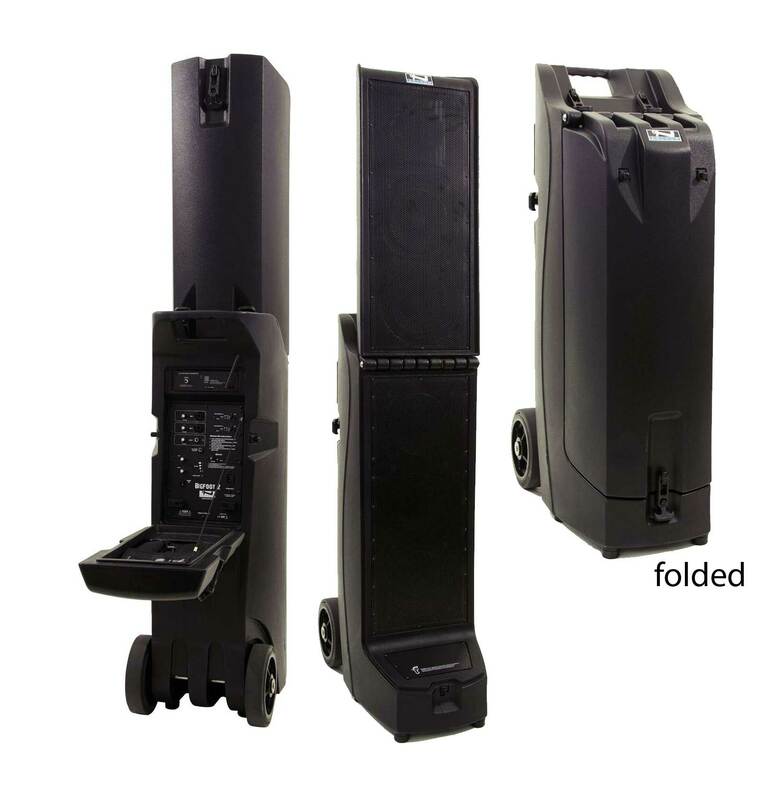 With the MegaVox Pro you’re ready for any situation…it’s lightweight, loud and easy to carry. 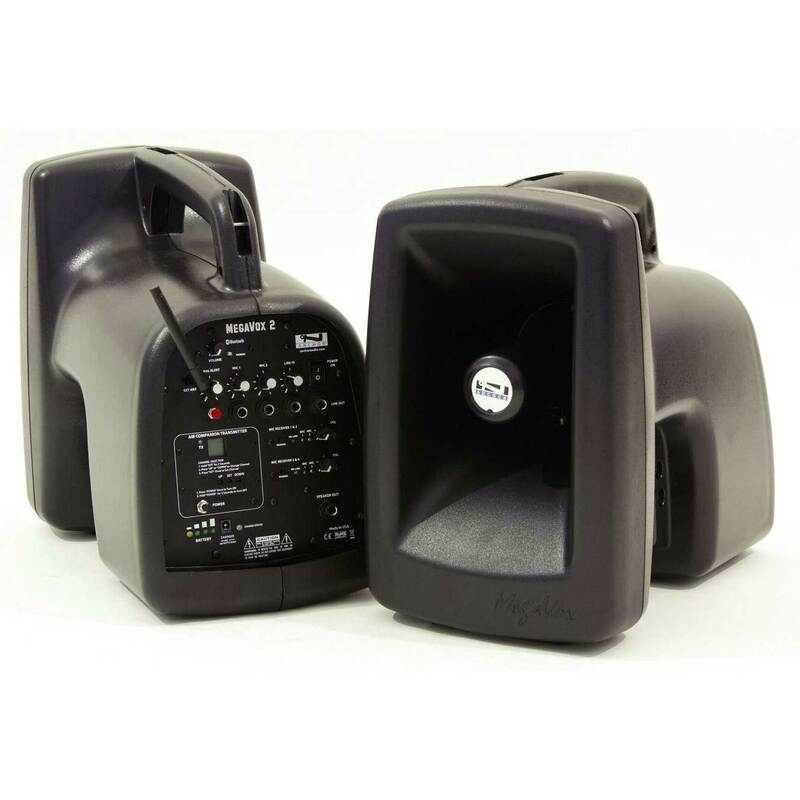 Thousands report it’s the most reliable PA system on the market. Emergency responders like its signal alert siren, wired microphone and convenient shoulder strap. 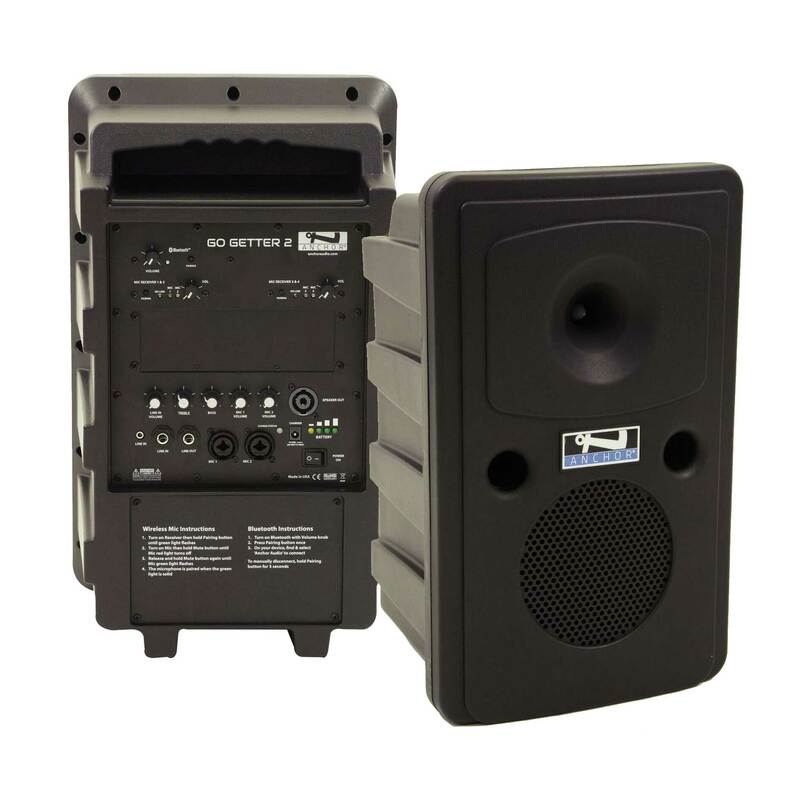 Coaches, band directors and auctioneers appreciate the flexibility of the AC/DC operation and the range of the wireless microphones.